Desert of Solitude really helped me understand some things in life that I struggled with. It’s very refreshing to see someone overcome so many obstacles I’ve struggled with. Thank you, sincerely. One month ago, I published my fifth book and seventh overall print project. One would think by this time, the process would be smooth and effortless. Unfortunately, that was not the case for this project. 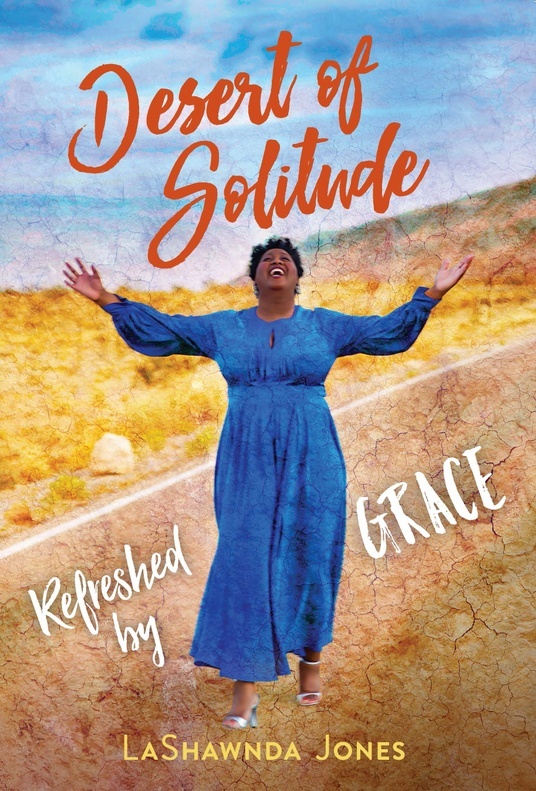 Desert of Solitude: Refreshed by Grace developed into a painfully personal devotional exploration of all the ways I felt like an abject failure in life. It began as a video log with the intention of providing in-the-moment face-to-face commentary on topics in the book. The videos remain a tough editing task. Even knowing what I said, wrote and how things worked out, the first few videos are filled with so much sorrow my heart still aches when I watch them. Fortunately, I know I needed to experience the full range of my emotions in order to move through that space fully and honestly. On the other side was a deep well of joy waiting for me to dive in. Thank God a good woman can’t stay down for long! My story has evolved into a testimonial of God’s everlasting grace and love for those who depend on Him. Refreshment. Renewal. Rejuvenation. It’s all possible. It’s all within reach. It’s life altering in an wonderfully amazing way. I invite you to journey with me to where I am now: At peace within my purpose and fully open to what comes next. Peace, light and love to you! We all want what we want when we want it. What happens when we don’t get what we’ve been hoping and praying for by a certain age in life? Desert of Solitude is for those of us who have achieved nothing, something or a great deal but are no closer to that “one thing” we most desire. What do you think you’re missing? What do you believe will complete your existence? Whatever “it” is doesn’t matter. You are enough for your life. Desert of Solitude follows the journey of a forty-something year old woman as she shakes herself loose of youthful ideals, and releases herself from expectations formed by family, culture and society. It’s an exploration of her determination to view her life from a position of abundant grace rather than disappointed hopes. 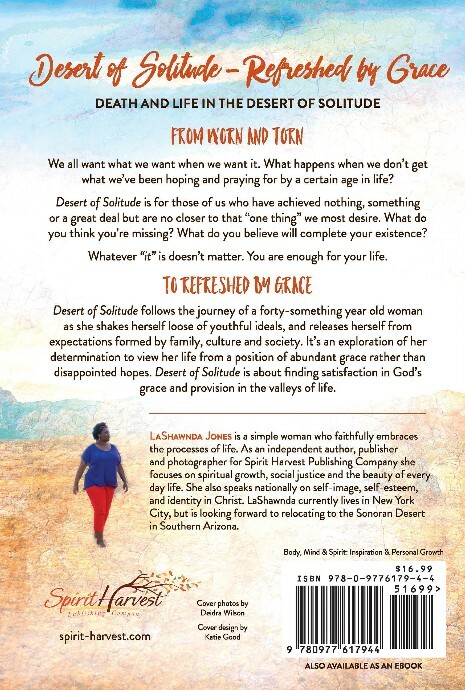 Desert of Solitude is about finding satisfaction in God’s grace and provision in the valleys of life. Available in Kindle, Nook and Print. LaShawnda Jones is a simple woman who is content with her Creator’s design choices for her. She is a woman who eagerly embraces the process of her personal evolution and the results of her choices. 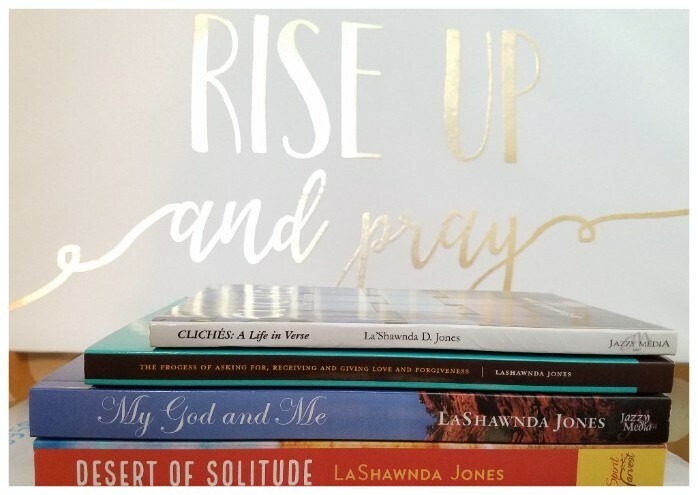 LaShawnda Jones is the independent author and publisher of Spirit Harvest Publishing Company. 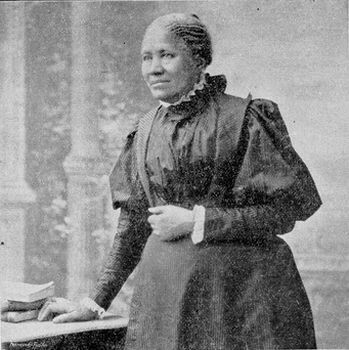 She maintains several blogs which focus on spiritual growth, social justice and photography. She speaks nationally on self-image, self-esteem, and identity in Christ and living the life you envision for yourself. Prior publications are Love & Forgiveness, My God and Me(Jazzy Media), Cliches: A Life in Verse (Jazzy Media) and Go, Tell Michelle (State University of New York Press). 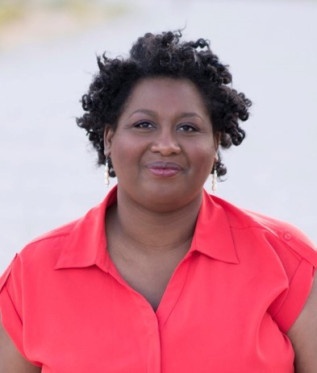 She holds degrees in marketing management (MATC) and political science (UW-Milwaukee) as well as a Master of Arts in International Affairs (The New School). Copyright © 2018 Spirit Harvest, All rights reserved. This email was sent to a list of contacts compiled over a number of years. At some point we connected regarding my business. If you do not want updates on my business activity, please feel free to unsubscribe. I will update my records accordingly.